10 Perfect Gifts - from a Bookstore that Aligns with Your Values! Small, independent bookstores tend to struggle against both a digital age and big box store competitors. We are no exception to the rule and we couldn’t sustain without you. When you shop in the FIC bookstore, you are not only supporting a bookstore. You are also supporting a nonprofit that uplifts & enriches intentional communities & cooperative culture — run by real people with passionate ideas. You are supporting an entire movement. You are making a statement about your values. You are stretching your dollar a long, long way. Give the gift of a 1-year, 2-year, or 3-year subscription to the person, organization, or library of your choice. Communities is a quarterly magazine (4 issues a year) bringing you articles examining the successes and also the challenges of ic’s, highlighting the invaluable lessons learned along the way. Your fellow communitarians will love you for it! What better way to take shelter from the cold than by playing board games? In this classic and entertaining game, players try to develop a happy, complete village. If they succeed, all players win! Players work through hardships and opportunities, address emotions and group meetings. With the Meeting Hall in the heart of the community, the game explores both material and spiritual values. 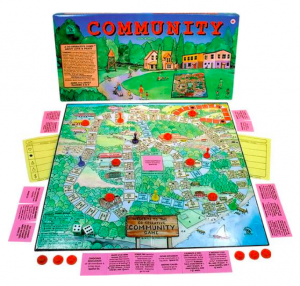 The Community Board Game is a medium-complicated game for ages 9 and up. An alternative to classic cards! Learn about permaculture, test your skills, and challenge your friends with this card deck, Food Forest, inspired by permaculture. 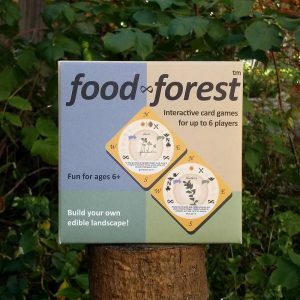 The Food Forest card game is a fun and interactive way to learn, teach and design with perennial plants and permaculture design principles. With the versatility of the cards, several games can be played from a simple matching game suitable for children, to a speed game for up to 6 adults. Check out all our Games and Teaching Aids in this Category page. 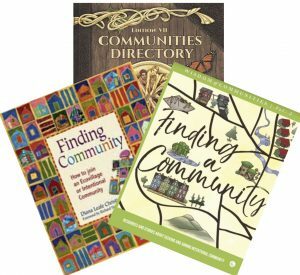 Throughout the 4 volumes in the Wisdom of Communities series, we’ve compiled the best articles from Communities magazine, the leading magazine about intentional communities and cooperative culture in publication since 1972. Get the entire set at a discounted rate, or just the Volume that fits your needs. Available as ebooks too! 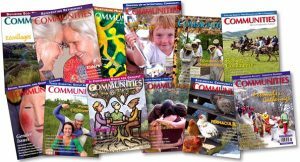 Explore the entire archive of Communities magazine articles by reviewing all the back issues since 1972! Do you know someone who is looking for their ideal intentional community? Give them the resources they need to successfully make that happen. Go here to purchase any combination of the following books and receive 25% off! Explore all the discounted bundle options at the Bundles page. See more in the Social & Racial Justice category page. Ecovillages Around the World: 20 Regenerative Designs for Sustainable Communities is a new addition to Gaia Education’s 4 Keys to Sustainability. 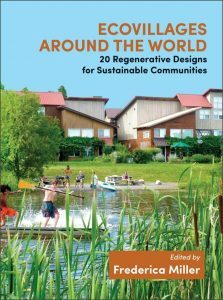 Grab your copy of this stunning book on the 20 best practice designs for ecovillages which includes more than 300 full-color photographs and diagrams and features well-established ecovillages such as Findhorn in Scotland, Auroville in India and newer initiatives such as Hua Tao in China. 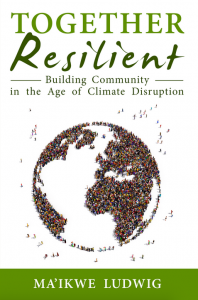 Explore all the books & documentaries on Ecovillages. 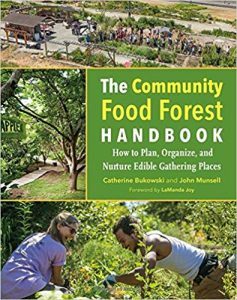 The Community Food Forest Handbook: How to Plan, Organize, and Nurture Edible Gathering Places provides detailed instructions, ideas, and examples of creating community-oriented access to nutritious food as well as promoting environmental sustainability where we live. It dives into the civic aspects of community food forests, drawing on observations, group meetings, and interviews at over 20 projects across the country and their own experience creating and managing a food forest. Check out all our New Releases here. We are about to run out of calendars for the year, so get your’s while you can! 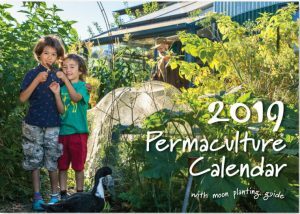 With more stunning imagery, vibrant illustration and easy-to-read charts, the wall calendar returns with 12 months of practical examples of permaculture design principles, lunar phases, and planting charts. Each month focuses on a principle with an illustration and story so you have time to absorb, consider, and reflect. Ethically produced on post-consumer recycled paper, available while supplies last. 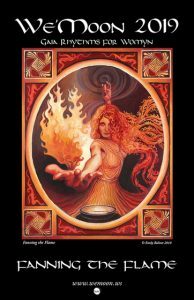 This popular datebook is once again about to sell out, this year with the theme “Fanning the Flame.” The year 2019 “honors Mother Sun as the source of all life, and sparks our passion for revolutionary change in the world.” The We’Moon Datebook is more than just a planner. It is a work of art created by womyn from all around the world. It is a lunar calendar, keeping us in touch with the cycles of the moon and stars and the rhythms of the natural world. Supplies are limited so order yours now! ← What Keeps Living Community Thriving?